Tender pot roast layered with whole kernel corn and topped with gravy, golden brown mashed potatoes and cheddar-jack cheese. Tender meatloaf, lightly seasoned and stuffed with celery, carrots, onions, parmesan cheese and rye. Nestled on a mound of mashed potatoes and topped with homestyle gravy. Served with a side of vegetables. Moist beef chuck tender, braised in a Guinness beef stock with carrots, peas and onions. Served over a hefty portion of mashed potatoes. Traditional Irish sausages served with mashed potatoes and our homestyle beef gravy. Enjoy our fresh baked homestyle mac and cheese. A three cheese ensemble paired with frizzled onions, bacon and Irish bacon. Topped with breadcrumbs. Fresh haddock coated in a Saranac Adirondack lager beer batter and golden fried. Served with fries and coleslaw. 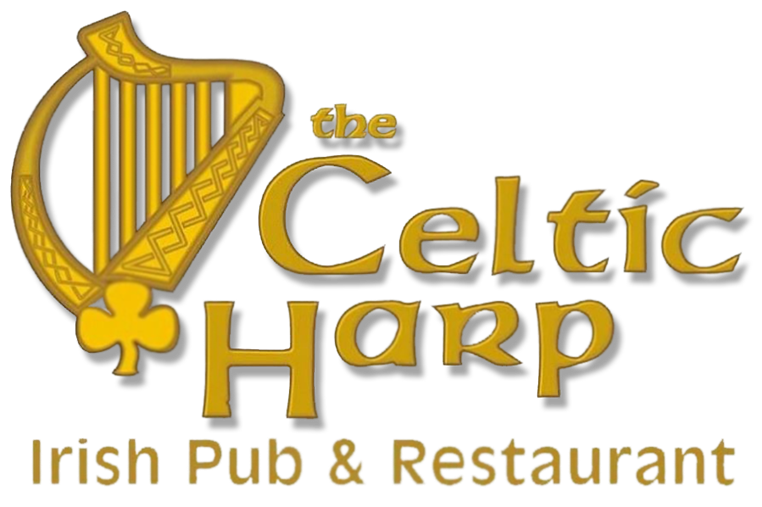 Celtic Harp;s most popular haddock bake. Fresh haddock cooked with basil pesto, diced tomatoes and white wine, Served with your choice of side.